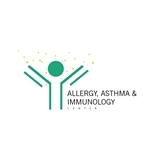 Allergy, Asthma & Immunology Center (Plano) - Book Appointment Online! We strive to provide compassionate care to you and your loved ones. Our physician is board certified by the American Board of Allergy, Asthma and Immunology as well as American Board of Internal Medicine. Our facility is fully equipped and has trained staff to be able to provide services related the diagnosis (testing), treatment of allergic conditions and potentially life-threatening allergic reactions like Anaphylaxis. We also strongly believe in patient education and counseling regarding their specific medical conditions. Always a pleasure seeing dr Srividya and feel that she cares. Highly recommended.